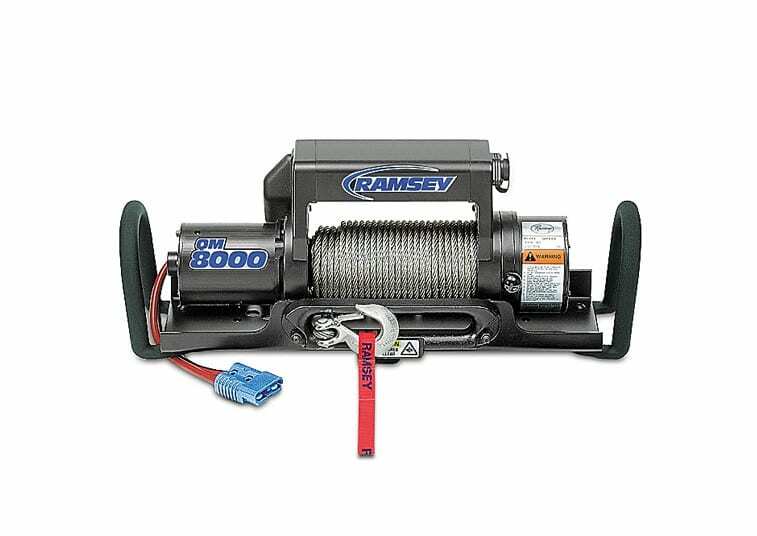 The Ramsey 12 VDC QM 5000 Winch is completely set-up with a mounting platform that is designed with two convenient handles for easy, quick installation into a class-three receiver hitch. It comes equipped with a Hawes fairlead and 80 ft. of 1/4” galvanized aircraft cable with replaceable clevis hook. It is built rugged and strong with 5,000 lb. line pull using Ramsey’s proven and efficient three-stage planetary gear system.